This one’s a shorter podcast than usual, just 9 minutes long. It’s an interview with John Raymond-Barker, who runs RB Boatbuilding in Underfall Yard at the end of the Floating Harbour. He’s one of the last links to Bristol’s long tradition of boat building, and he specialises in making Bristol Channel Pilot Cutters, a type of boat that evolved in Bristol and Cardiff, to deal with the unique and treacherous conditions of the Bristol Channel, while racing to get as much lucrative piloting business as possible. John told me more about the boats, and his work, and I hope you enjoy it. 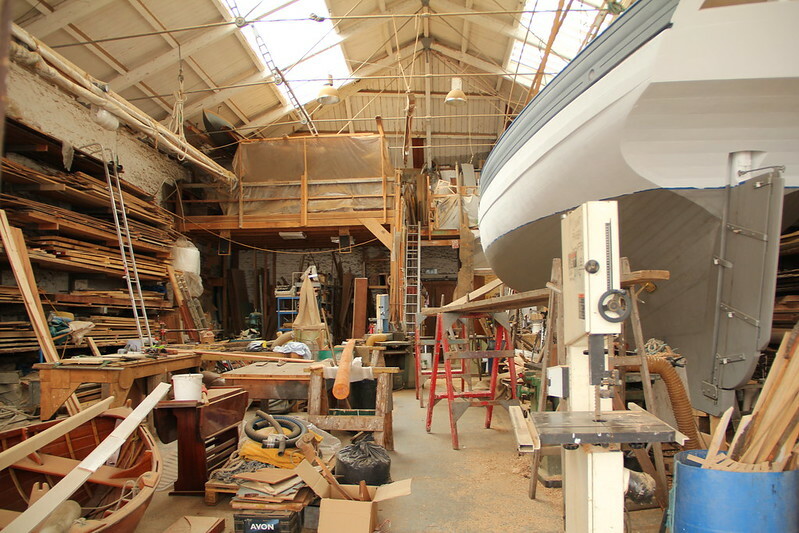 If you want to know more about RB Boatbuilding, visit his website, which includes a page about the Pilot Cutters – and there’s lots of information about the Underfall Yard, where he’s based. It was fascinating to hear about these unique boats, and I feel so lucky that I got to take a closer look. I walk past the boatyard all the time, and the sound of the work, the smell of the wood, it all links back to the past, and I hope it stays here forever.